If your Elderly or Senior loved one needs a companion while you’re at work or handling other duties, A-1 Home Care can provide a compassionate caregiver on an full-time live-in basis or hourly part-time basis. 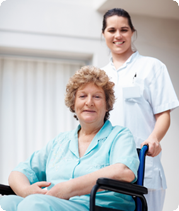 If your loved one is recuperating from surgery or living with an illness, we offer a diverse range of quality and experienced caregivers or nurse aides who know how to deal with your specific care situation. 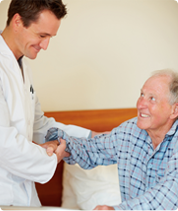 Our in-home care professionals have experience with After Surgery Care, Arthritis Care, Alzheimer’s Care, Parkinson’s Care, Diabetic Care, Cancer Care, Incontinence Care, Respite Care, Hospice Care, Child Care, Special Needs Care, and Postpartum Care. In addition to providing personal care and companionship, our caregivers can assist with daily household tasks, follow doctor orders, provide daily status updates, and basically do everything we can to ensure your loved one lives a healthy lifestyle and has fulfilling days to look forward to. A-1 Home Care is a non-medical caregiver placement agency that has been in business since 1991, has an A+ Rating from the Better Business Bureau, and Shield Accreditation. 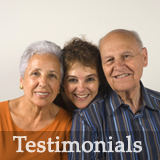 We frequently receive patient referrals from local hospitals such as Hoag Hospital, College Hospital, and Kaiser Permanente. If your loved one is a long term insurance carrier, we accept Penn Treaty, John Hancock, Bankers’ Life & Casualty, MetLife Insurance, CALPERS, and Veteran Administration. 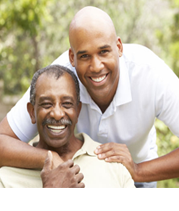 To interview and hire a compatible caregiver in your area, CALL us at 949-650-3800.